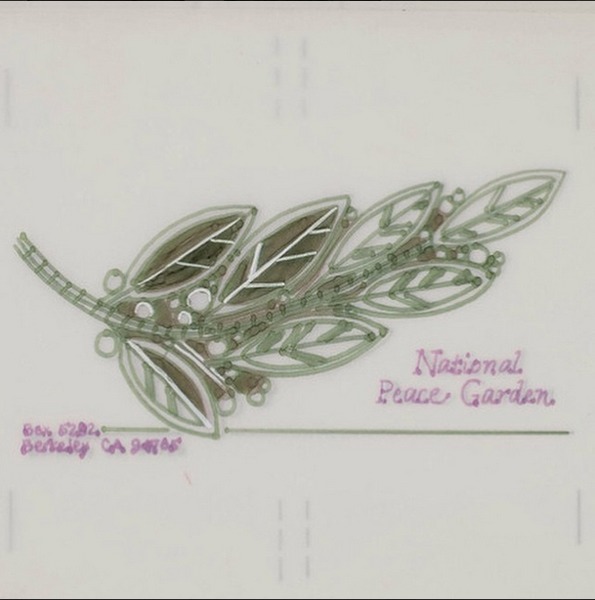 “National Peace Garden,” Histories of the National Mall, accessed April 25, 2019, http://mallhistory.org/items/show/518. 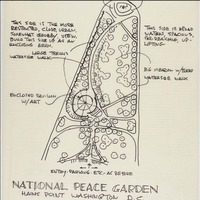 In 1985, Elizabeth Ratcliff, a former English teacher from California, proposed a national monument to peace. The monument was approved by Congress within two years and Hains Point was selected as the site. 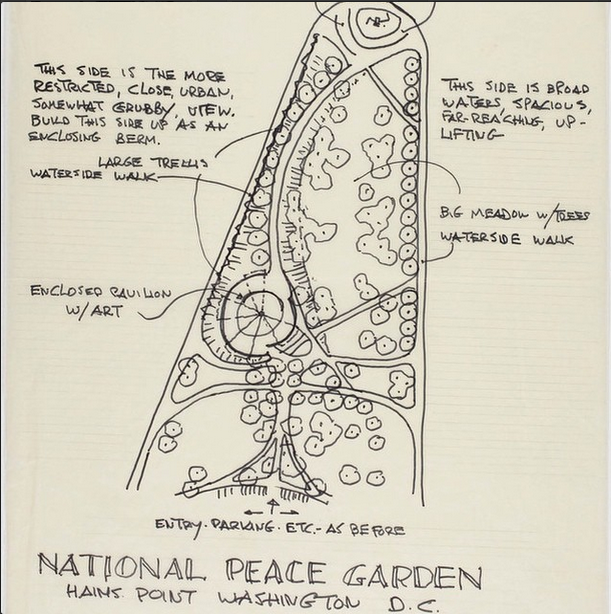 The Peace Garden Project Committee, led by Garret Eckbo, held a design competition in 1989 and selected Eduardo Catalano’s olive branch plan. Catalano's plan was approved by two planning Committees but rejected by the US Fine Arts Commission in 1992. The design firm Royston Hanamoto Alley & Abey was then hired and a year later their design received full approval. Funding for the monument was not secured by 2003, and the Garden was never built. Environmental Design Archives. View images. The first design, proposed by Brazilian-born landscape architect Eduardo Catalano, looked like an olive branch from above. The leaves of the olive branch were a series of smaller gardens, connected by a path which formed the stem. There was also an amphitheatre and a glass pavillion. The second design, by Royston Hanamoto Alley & Abey (RHAA), drew on the themes of the Senate Park Commission’s 1902 plan for the National Mall. It included a water feature aligned with the Washington Monument and bells to be rung either by visitors or the wind.